A car crashed into the second story of a Gary house. GARY, Ind. 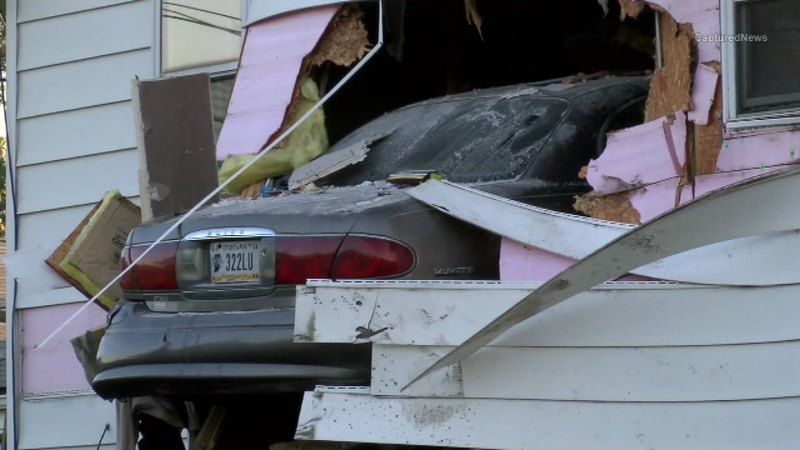 (WLS) -- A car lost control Wednesday and crashed into a second-story home in Gary, Ind. Police said they were pursuing the car when the driver lost control and slammed into the second story of the home. No one was inside at the time. The driver of the car ran from the scene and hasn't been caught.